Elizabeth Bennet is left stranded after saving Georgiana Darcy from a disastrous elopement. Rescue is near, but Elizabeth will have to pay an additional price, not only for Georgiana’s mistake but for the circumstance in which Elizabeth becomes embroiled. Some, like Miss Bingley, may look down on a precarious situation of Elizabeth’s own making, but what else could someone of her bold, intelligent and compassionate nature do? This Pride and Prejudice variation is approximately 60,000 words. Buy Foiled Elopement on Amazon Kindle! Click HERE! 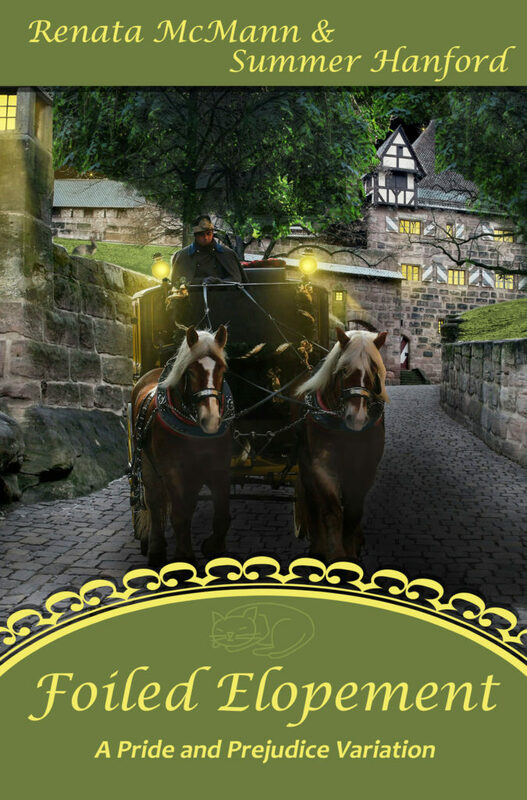 Buy Foiled Elopement in print on Amazon! Click HERE!